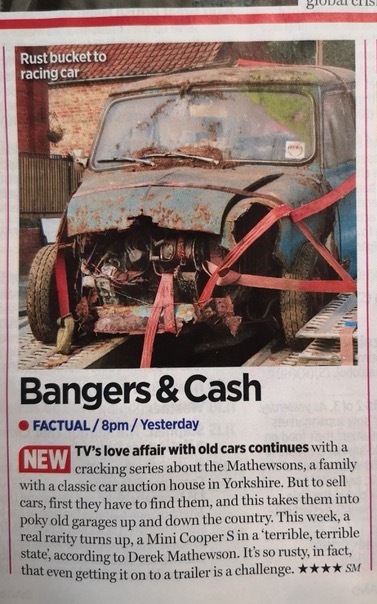 Air’s new TV series Bangers & Cash has been rated as the ‘pick of the day’ across several of this week’s TV Listings Magazines. 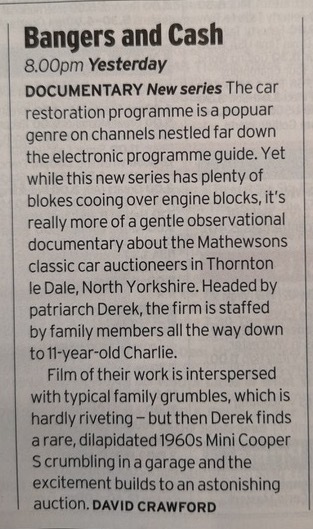 The TV Times described it as “a cracking series” giving it an impressive four star rating, while the Radio Times described how the first episode “builds to an astonishing auction”. 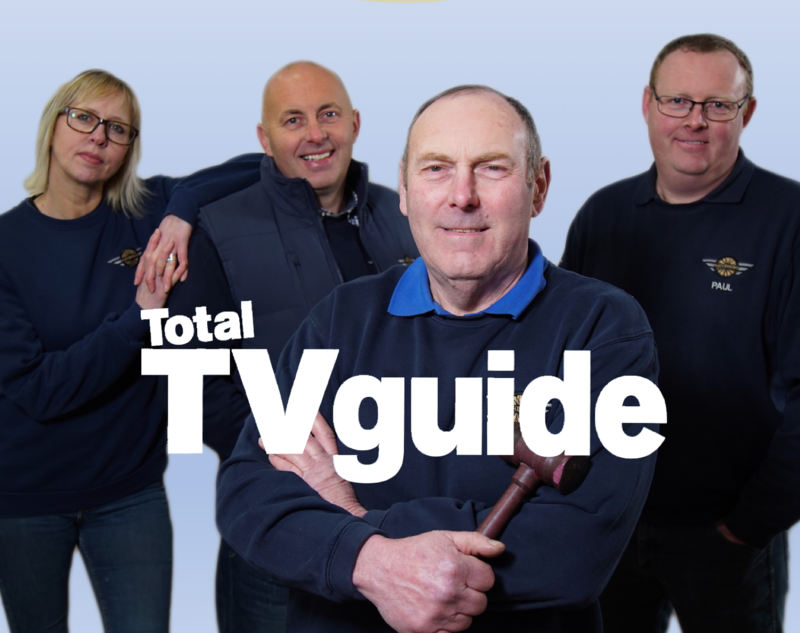 Whats On TV and the Total TV Guide also rated the series highly – making it their picks of the day. Bangers & Cash starts on Thursday 18th April – new and exclusive to Yesterday. It will be available shortly afterwards on demand on UKTV Play.